Posted on December 7, 2018, in Card Samples, Challenge Entries, Debbie's Challenge Entries, Oscar's (Deb's) Card Samples and tagged Hero Arts, Penny Black, Photoplay, Picket Fence Studios, Verve Stamps. Bookmark the permalink. 10 Comments. Such a cool card.! Love that fun background! Such a cool card! Love that fun background! I love this layout and that fabulous background – nice work! Lots of coffee! Love the overload! A gorgeous card with great colors and a fabulous background. Love it, that background is awesome. 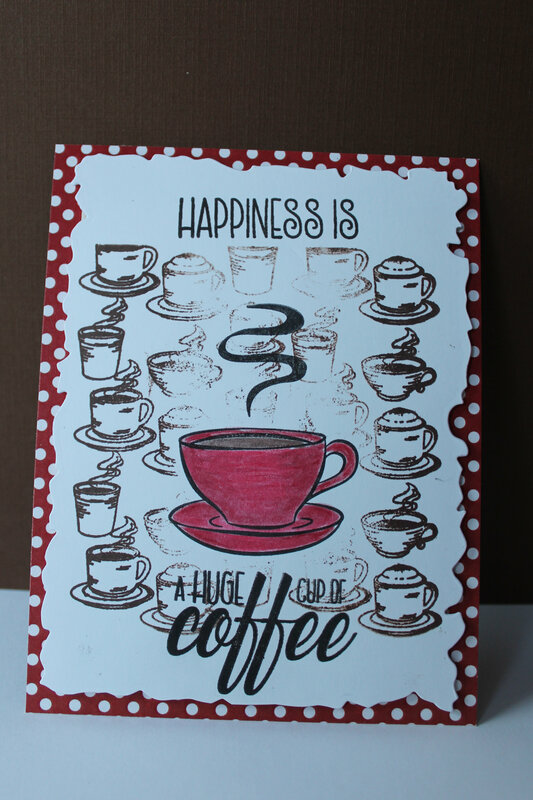 Fun card creation, loving the coffee cups!